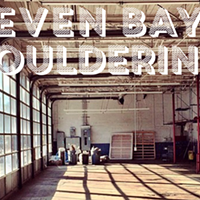 Seven Bays Bouldering (2019 Gottingen Street) is peaking in size thanks to a basement expansion that will feature additional space and activities for climbers. 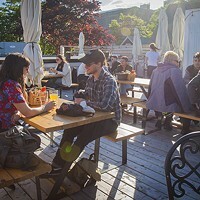 “From the moment we started building Seven Bays, the possibility was always there,” owner Geneviève de la Plante says of the renovations, which will make use the massive parking garage underneath their current gym space. 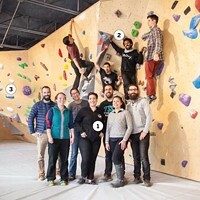 “I think it was clear within, I would say, the first few months it was going to happen eventually.” Seven Bays’ new additions will include 45-degree and 15-degree climbing walls, as well as a campus board for finger strengthening. Additional gear—such as weights and a squat board—will also available to complement the climbing gym, targeting especially those who have plateaued in skill level. “We’re also trying to get some people who live in the north end and who want to just train without climbing, potentially,” de la Plante says. A launch event is scheduled to take place on February 17, which will include demos of the new equipment. 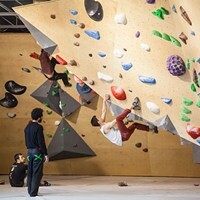 Sneak a peek at Halifax’s newest indoor climbing facility before it opens this Friday.